We offer air conditioning repair and installation in Barrie, Orillia, Collingwood, Wasaga Beach, and surrounding areas in the GTA. Central Air Conditioners. When the weather gets hot, your central air conditioning system works in conjunction with your heating system to keep your home cool. In order to produce a comfortable home, air is blown over the system’s cooling coil to a circulating fan and then dispersed throughout the ducts in your home. Central air conditioners are beneficial because they are capable of keeping your entire home cool, and not just one room. At Southern Comfort HVAC, we can help you with any problems you might encounter with your central air conditioning system and perform regular maintenance on it so you never have to go without a cool home in the summertime. Air Conditioning Repair. Does it ever seem like your air conditioning system stops working at the most inopportune moment? Unfortunately, air conditioners are prone to malfunction and need repair often. When this happens, we’re here to help. We realize that you might need air conditioning repair on an evening, weekend, or even early in the morning. Because of this, you can always reach our customer service department and get your air conditioner fixed right away. Each one of our repair technicians is highly trained and capable of fixing any problem you might run into. This way, you don’t have to wait for us to try several different methods before we can get your AC unit working and cooling off your home once again. 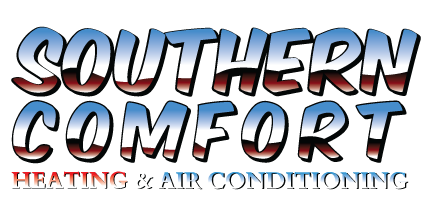 The next time your air conditioning unit stops working, don’t hesitate to call us at Southern Comfort HVAC. Air Conditioning Installation. Purchasing a new air conditioning unit is one of the best ways to ensure that your home remains cool when it’s hot outside and to cut down your cooling bills. However, when you purchase a new unit, it is essential that it is installed correctly, so your air conditioner is able to work as efficiently as possible. 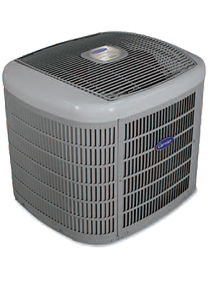 If you recently purchased a new AC unit, let us at Southern Comfort HVAC handle the installation job. We will make sure that your new system is installed exactly according to the manufacturer’s specifications and that it’s working properly before we leave your home. Plus, we offer warranties for either 5 or 10 years on parts and labour. Instead of spending your weekend trying to figure out how to install your new air conditioner correctly, let us at Southern Comfort HVAC handle the job. We serve Barrie, Orillia, Collingwood, Wasaga Beach, and surrounding areas in the GTA.